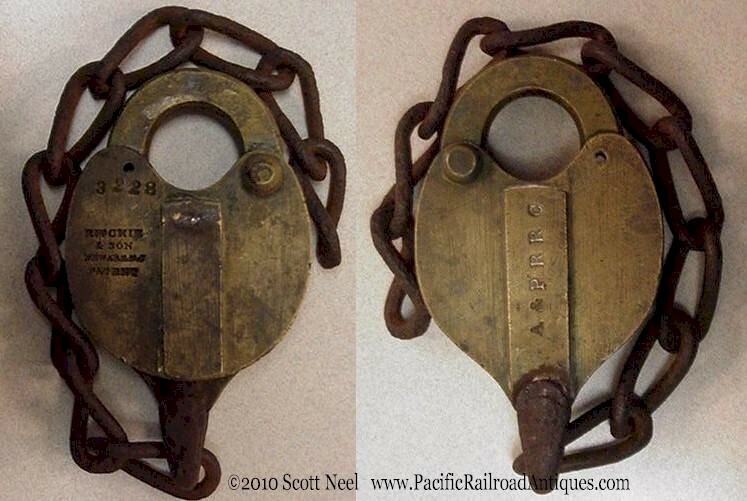 We are interested in any railroad marked hand lanterns with globes that are between 5 1/8" and 6" tall. 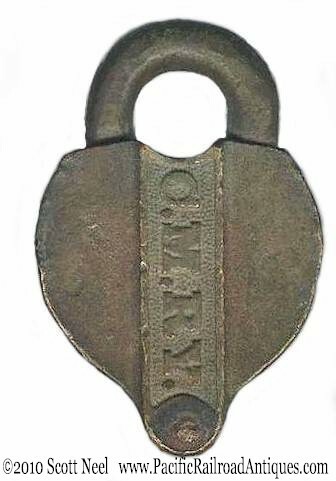 Lanterns can be complete or missing parts, and generally in any reasonable condition. 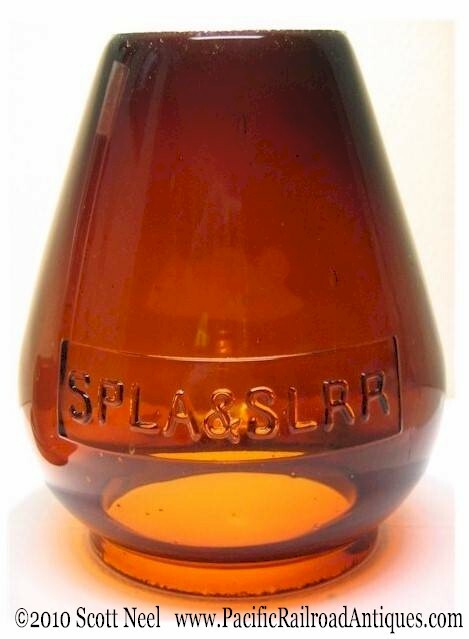 Also any nickel plated, silver plated, or brass conductors lanterns with two color globes. 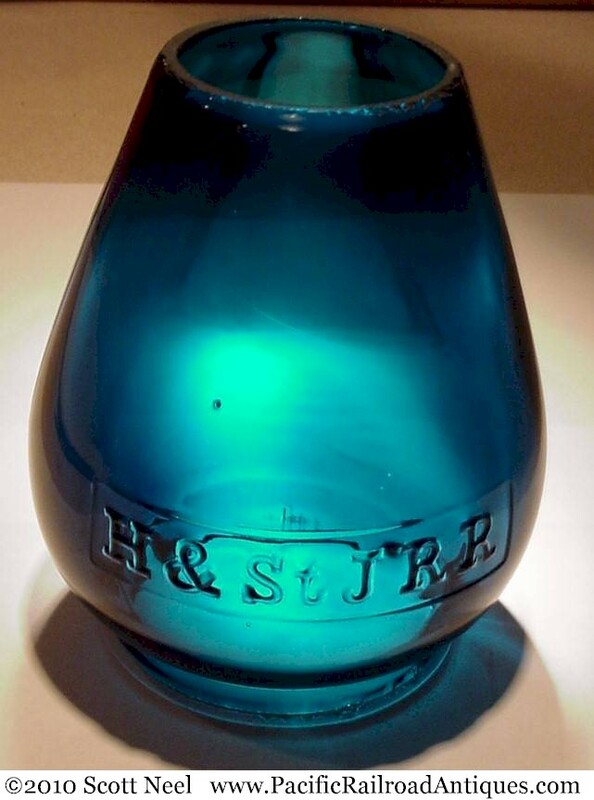 We are most interested in lantern globes with cast (raised) lettering in the glass from Western US railroads. 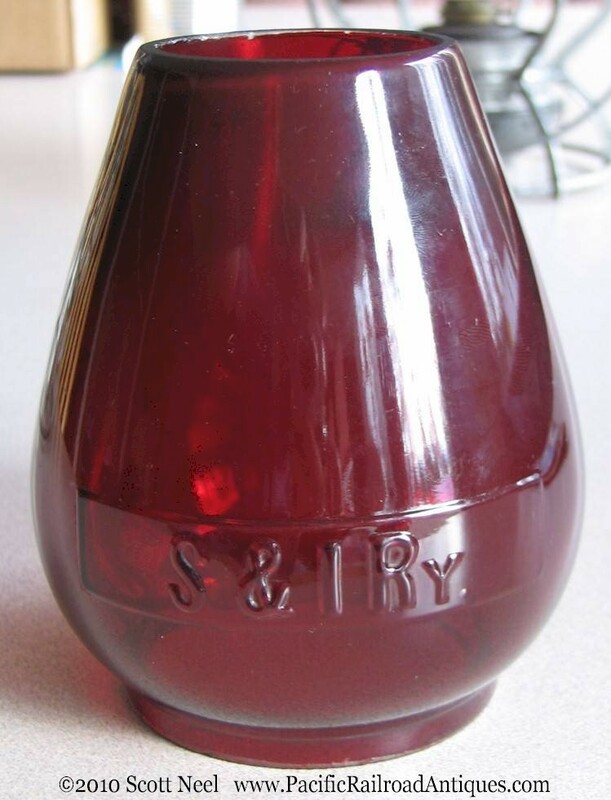 Any color of globe. 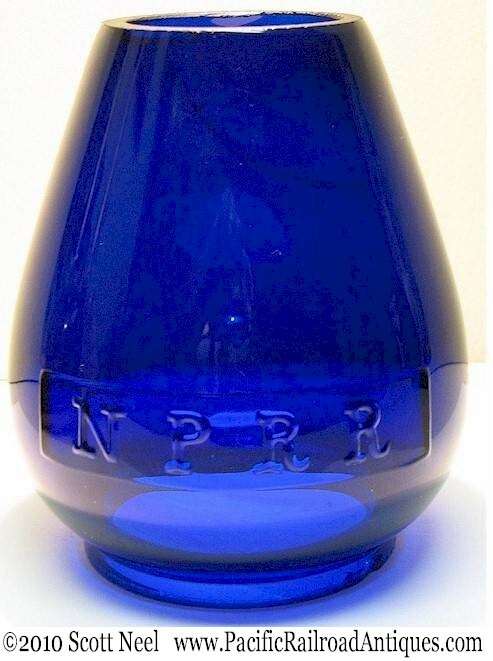 Etched and wheel cut globes are also of interest. 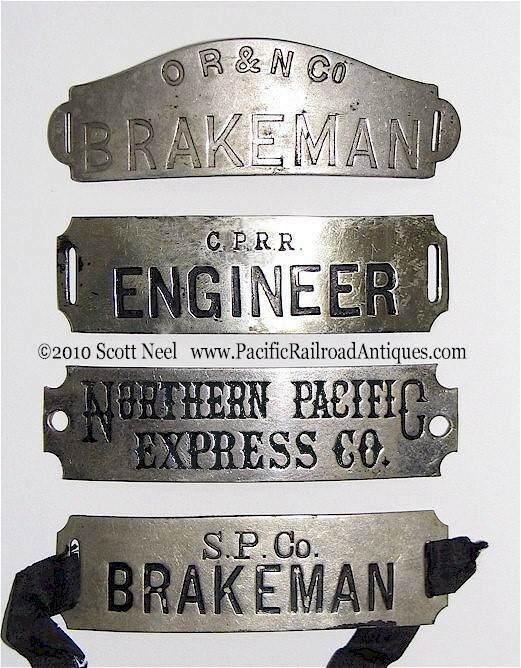 Any authentic steam locomotive builders plates and front number plates are of interest. 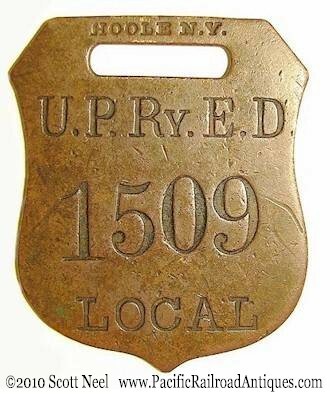 Especially from geared and rod locomotives used in the Logging industry on the West coast (Lima, Climax, Heisler, Willamette, Porter, Baldwin, etc...). 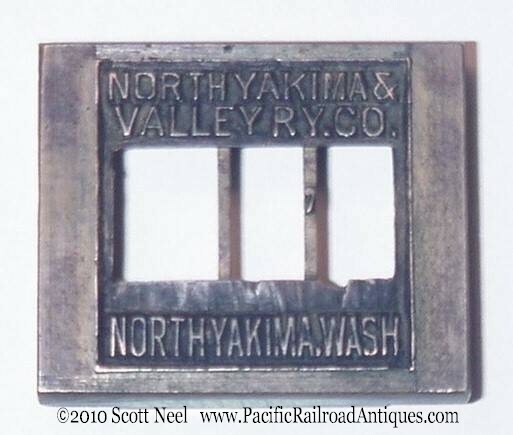 Also any Pre-Alco builders plates, pre 1890 Baldwin, and all classes of Northern Pacific RR locomotive plates. 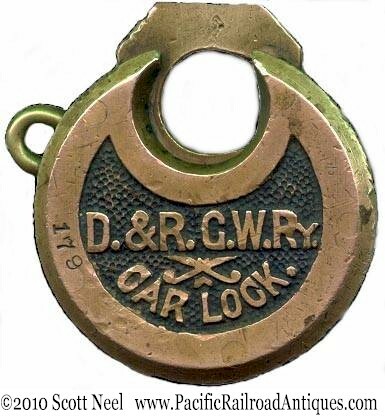 Any cast brass locks with embossed or stamped lettering, especially from western US railroads. 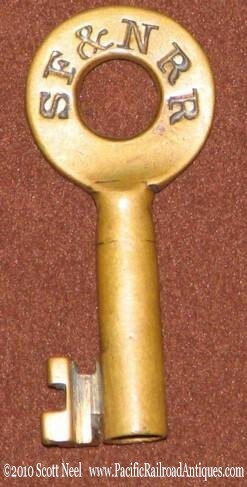 Looking specifically for cast locks from BA&PR'y, CMRy, D&RGRR, OR&NCo, OWR&NCo, RGWRy, SP&SRy, StPM&M. 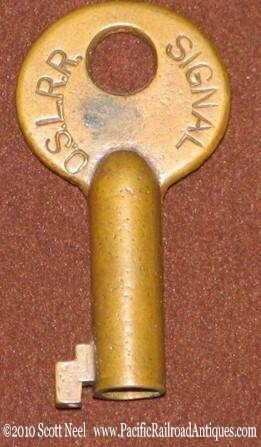 Authentic brass or steel marked switch keys from Western US railroads. 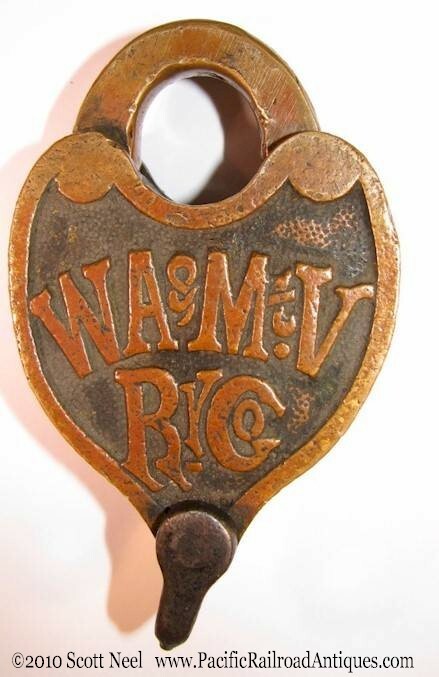 HAT BADGES, BAGGAGE TAGS, WAX SEALS, & DATER DIES. 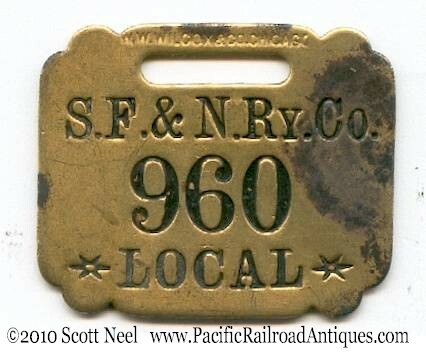 Early hat badges and brass baggage tags from Western US railroads. 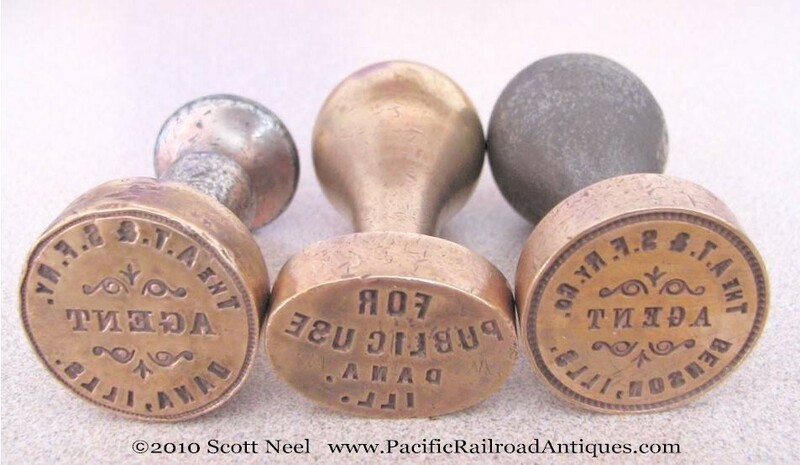 We are most interested in any quality hardware, paper items or photographs from the the "Pacific Railroads" or more specifically, items from the Central Pacific and Union Pacific Railroads from the 1860's - 1880's. 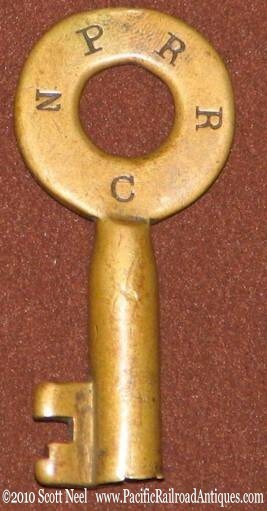 A&CRRR, AT&SFRR, BA&PRy, BB&BCRR, CPRR of CAL, C&CRR, CMRy, CS&CCD, CM&PSRy, C&PSRR, D&RGRR, DSP&PRR, E&MCRy, E&PRR, F&CCRR, GNRy, G&PRR, KPRW, MURy, NPRR, OR&NCo, OSLRR, O&CRR, OSN, RGSRR, RGWRy, StPM&M, SP&SRy, SLS&ERR, S&IE, U&NRR, UCRy, UPD&GRR, UPRR, UPRW, UNION PACIFIC, V&TRR, WW&CR RR, YVTCo, YVRR.